The Vietnam War was very different from any modern war fought by the US Army and the reasons why it is often referred to as “the captain’s war” provides a valuable insight on some of the distinctive features of this war. Most conflicts are classified as conventional wars. In large-scale conventional conflicts like World War II, the enemy was out front and the friendly forces were stacked up behind the companies with battalions, brigades, divisions, corps, armies, and so on. The Vietnam War was an unconventional war with no front lines and the enemy tactics were very different from those used in the Korean War and World War II. The enemy was often invisible in Vietnam, used guerrilla tactics and attacked us when they had a significant advantage. Describing the Vietnam conflict as “the captain’s war” highlights that this was a very different type of conflict; it was an unconventional war that required radical changes to our tactics and doctrine to combat a very different type of enemy. 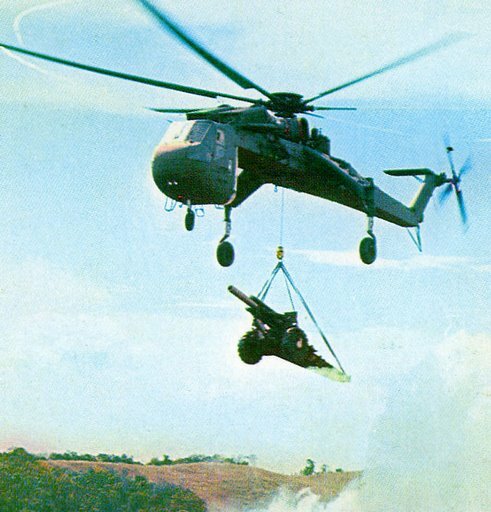 Airmobility operations formed a major component of these new tactics, and it was the 1st Cavalry Division that combat tested and refined these new tactics starting in the autumn of 1965. Many of the traditional tactics, such as controlling key terrain, lost much of its importance because airmobility provided us with a capability to hop, skip and jump over a large geographical area at short notice and swiftly. The basic reason why the Vietnam War was commonly referred to as “the captain’s war” is that the infantry captain was normally the highest-ranking officer on the ground. All of his superiors operated from firebases and in the event of a firefight, they normally controlled the operation from a command and control helicopter. In other words, it was only on rare occasions that an officer above the grade of captain controlled a firefight from a ground location. In one instance, our battalion commander, LTC John Stannard, took control of Company C for several hours during the Battle of Tam Quan on 7 December 1967 after the company commander was killed. He was also on the ground during the night of 19 December to command several of his subordinate units that had surrounded a large enemy force in the vicinity of the Bong Son River. Normally, however, the standard procedure was that infantry companies operated independently within their assigned area of operations and when they made contact with a large enemy force, the battalion or brigade commander would immediately deploy additional units to assist in combating these forces, otherwise known in the First Team as “piling on”. 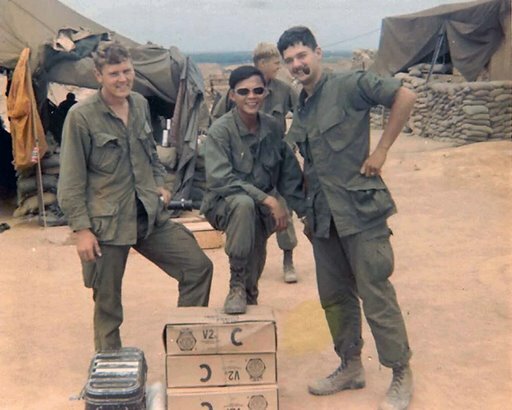 Company B always had a mission 24 hours a day, 7 days a week, and for the duration of its involvement in the Vietnam War. The normal practice was that we conducted search and destroy missions for approximately 10 days, and then we would secure a firebase for 4-5 days. Securing a big firebase like LZ English was relaxing and provided an opportunity for writing letters, taking a shower, changing uniforms, maintaining our equipment and we usually received two hot meals a day. One can still recall the small pleasures of firebase duty like the whiff of freshly brewed coffee in the morning and the food was a welcomed change from C-Rations. However, securing a firebase was not a total break. In addition to securing the firebase perimeter, we also conducted night ambushes and local patrolling during the daytime to prevent enemy attacks on the base. There was no fixed schedule for these rotations, much depended on enemy activity and the current mission of our Battalion. 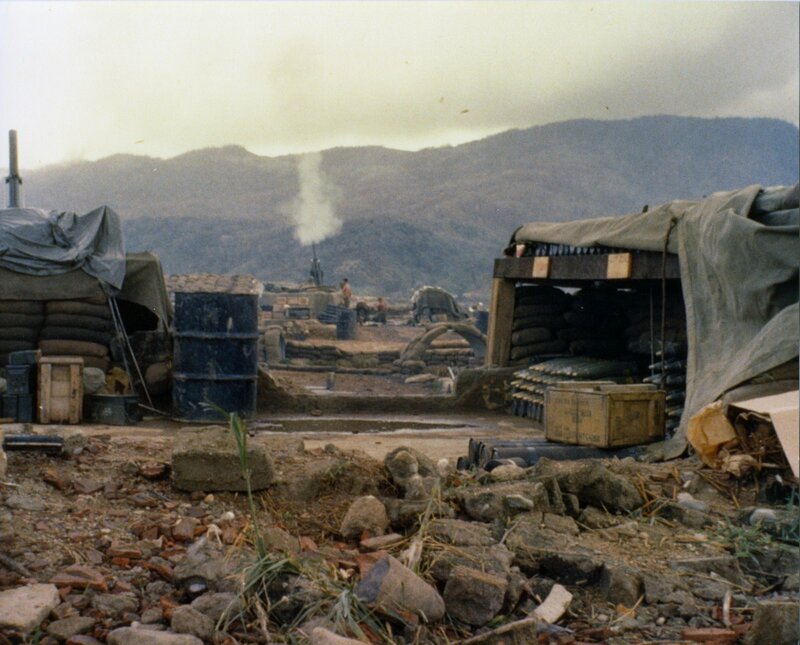 A series of firebases were established throughout the 1st Cavalry Division’s area of operations. Many of these firebases consisted of an artillery battery of six 105mm guns that were secured by an infantry company. 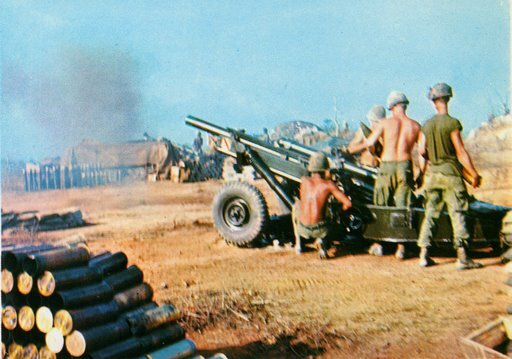 The 1st Cavalry’s artillery batteries were also units that could be moved by air to another location within a few hours to support infantry operations. As a general rule, Bravo Company operated within the range of an artillery battery and during a firefight, we received immediate artillery support from one or more of these firebases. An important outcome of our periodic firebase security missions was that we established a good rapport with these artillery troopers and they performed as a member of our team when we needed artillery support. Although Bravo Company received support from various artillery units, we had a very close working relationship with 2nd Battalion, 19th Artillery. In addition, the three members of the Artillery Forward Observer Liaison Team attached to Bravo Company, consisting of a lieutenant, sergeant and a radio operator, came from 2/19 Artillery. For a photograph of our Artillery Liaison Team, see the command group of the Bravo Company photos. The following photographs provide an overview of how these artillery units operated to support units like Bravo Company. Landing Zone Geronimo was an artillery firebase located in the northwest sector of Bong Son (see Maps), and Bravo Company frequently secured this firebase. Geronimo was also the location of the Tiger story (see Our Stories). 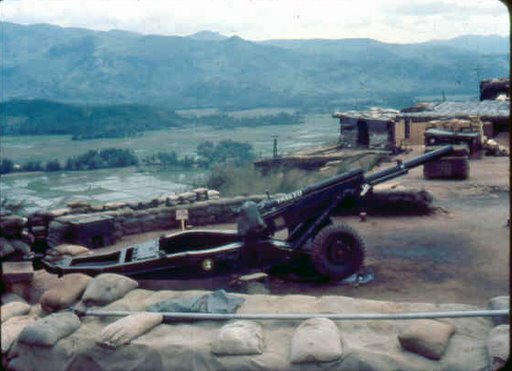 Until we moved north to Quang Tri in January 1968, the 2/19 Artillery maintained a battery of six 105 mm guns at Geronimo. Each 105mm Howitzer Gun had a crew of 6, the range was 11,500 meter (7,1 miles), the rate of fire was10 rounds per minute, and the crew could be transported internally in a Chinook and the gun externally in a sling. 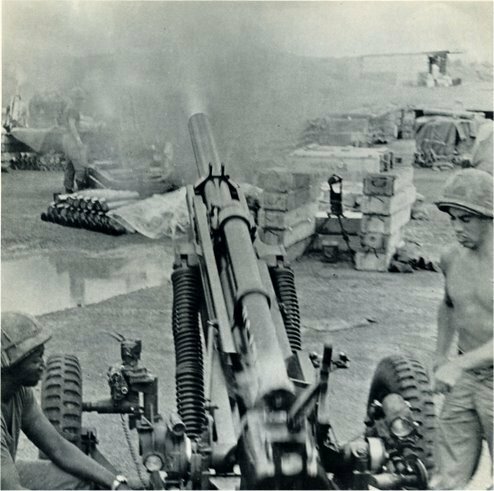 A major innovation of the Vietnam War was the artillery fire support base. 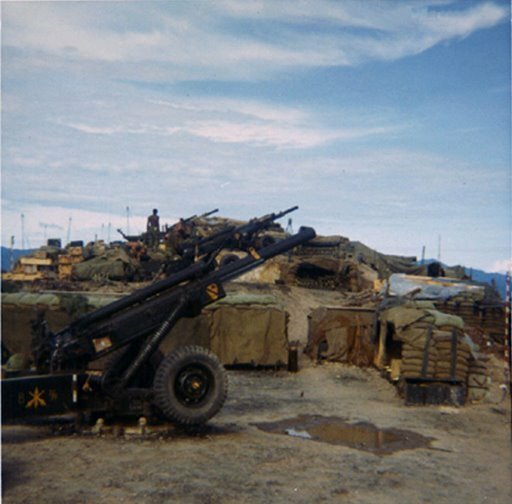 Because there were no well-defined battle lines, artillery fire support for units like Bravo Company could not always be accomplished from secure areas. With the airmobile concept and our requirements for continuous artillery support, it was a routine operation for us to establish artillery bases in enemy-dominated territory. The Song Re Valley operation is an excellent example of how we rapidly established an artillery fire support base. The Song Re Valley is located 32 miles southwest of Quang Ngai City, and was a well-known Viet Cong stronghold. This airmobile operation was to be the first major reconnaissance in force into this valley and our aircraft had been subjected to heavy antiaircraft fire when they conducted reconnaissance operations in the Song Re Valley. 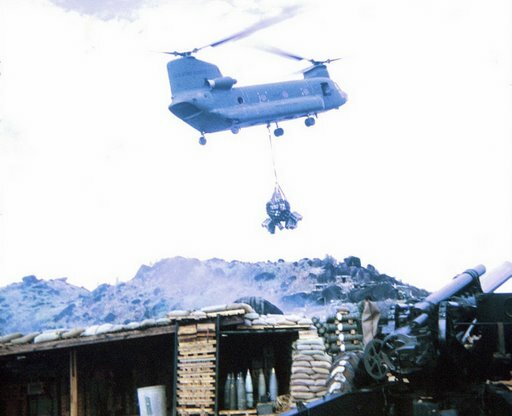 This operation commenced at 0737 hours on 9 August 1967, with the air assault of Bravo Company into LZ Lou. The mission of Bravo Company was to secure LZ Lou for use as a forward base for our battalion command post and as a fire support base for C /2/19th Artillery. 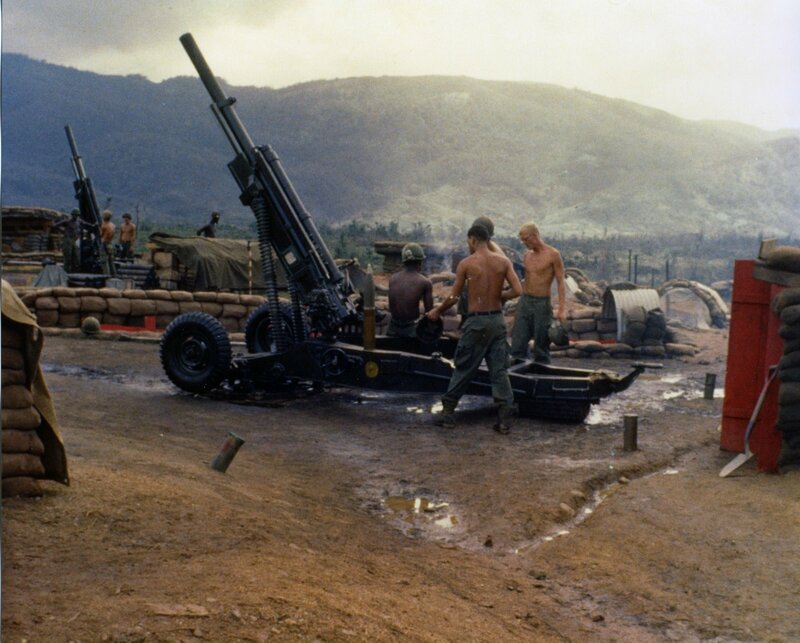 C Battery was operational on LZ Lou at approximately 0900 hours and they provided preparatory fires in support of the air assault of A/2-8th Cav into LZ Pat at 0935 hours. This is a clear demonstration of the speed and flexibility of 1st Cavalry Division airmobile operations. Within a period of two hours, we had conducted a combat assault with Bravo Company to secure LZ Lou, airlifted an artillery battery of six 105 mm guns with crew and ammunition to LZ Lou, and established a fully operational artillery fire support base in enemy-dominated territory. In less than two minutes after B/2/19 Artillery received a fire mission from Bravo Company, the artillery shells were on the way. Another extremely important factor contributing to the high morale in the First Team was our way of conducting combat operations. One of the great advantages of airmobility was that we travelled light. Unlike other infantry units whose soldiers carried heavy packs with extra food and ammunition, we only carried the essentials required to last a few hours, basically water and ammunition. 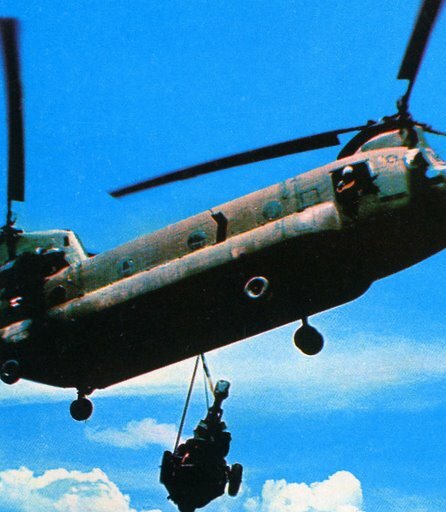 Travelling light contributed immensely to our combat effectiveness, and it also explains why we were able to load so many troopers into a Huey and why we were able to jump swiftly out of a Huey before it touched the ground during an air assault. Our individual packs were sorted by platoon and placed in a sling. A helicopter collected this sling of packs each morning and they were taken back to our battalion helipad. Later in the afternoon, our packs were delivered to our night defensive position together with other supplies that we needed. In addition, we sent our mortars and mortar ammunition to the rear each morning and had them delivered to our new location in the late afternoon. Not only did we travel light, but we also knew that reinforcements and medical evacuation were immediately available. Of course, there were many situations where we had to carry our packs because of the lack of landing zones or where enemy activity prevented extensive use of helicopters, such as at Dak To and in the A Shau Valley. Some claim that the origin of the term “grunt” comes from the noise a soldier makes when he puts his rucksack on and we were very fortunate that we didn’t do too much grunting in Bravo Company. Our Battalion Commander assigned each company an Area of Operations (AO) and this was an extensive geographical area, often several kilometres long and the same wide. For a variety of reasons to include preventing friendly casualties, a company commander controlled all activities in their assigned AO. This included troop deployments, artillery missions, close air support, etc. 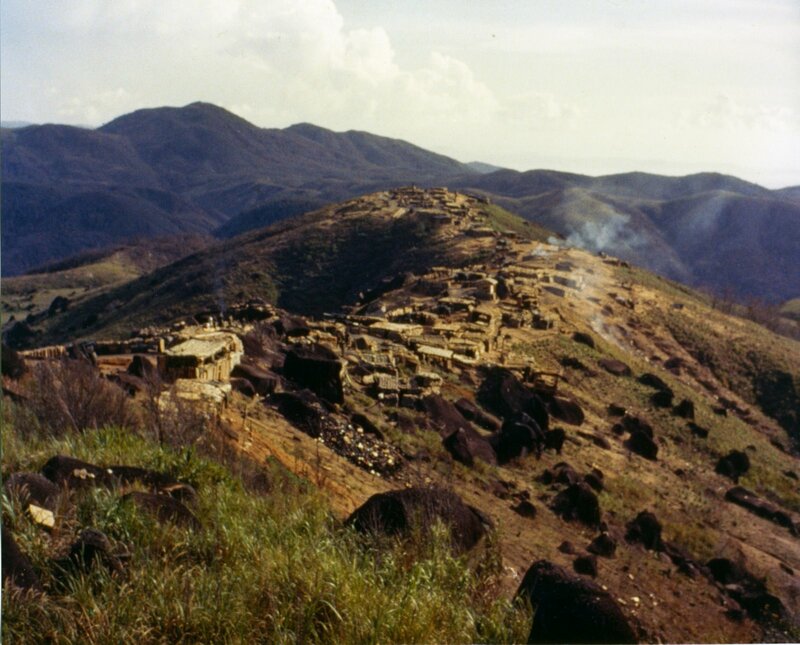 A night defensive position was selected based on key terrain that offered good fields of fire. Just like the wagon trains of the Wild West, we always established a circular defense with three platoons, while the weapons platoon was responsible for supporting mortar fires and act as a reserve, if needed. After selecting the company night defensive position, the first order of business was delineating the platoon sectors of responsibility and coordinating the locations for machine guns to ensure overlapping fires. Thereafter, there would be a steady stream of helicopters delivering packs, mortars, supplies, mail, replacements and troopers returning from R&R. 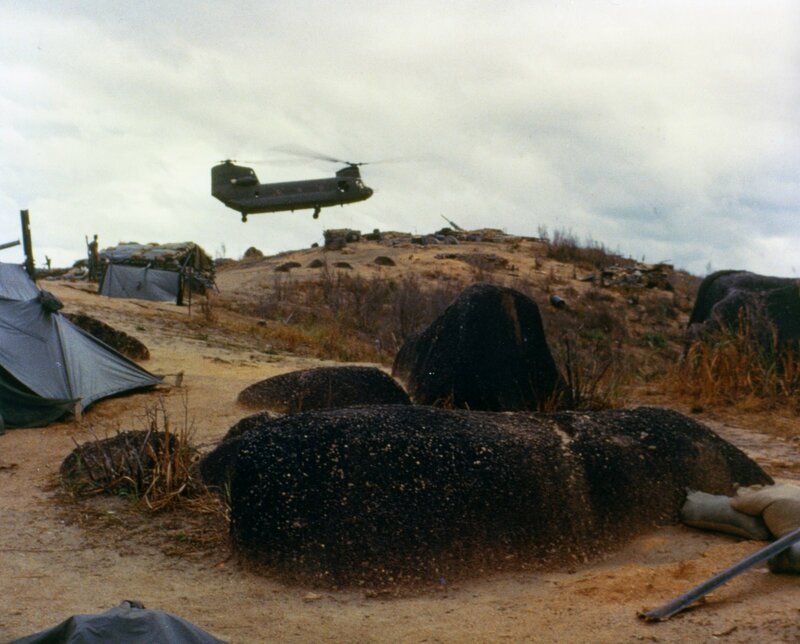 The 1st Sergeant and supply coordinator were very busy with this supply activity and in constant radio contact with inbound helicopters and the company rear detachment. Foxholes were dug, everyone was briefed on guard shifts, and operation plans for the next day would be prepared. Just before sunset, the Artillery Forward Observer (FO) would plan artillery fires on likely avenues of enemy approach. After the company commander approved of this fire plan, the FO would start adjusting artillery on these registered points. The artillery battery recorded this data in their fire plan and if the enemy attacked, artillery fires could be rapidly adjusted from these fixed points. The weapons platoon followed a similar sequence for planning and registering mortar fires. When it was dark, night ambush teams would move out to their designated locations and these ambushes required a great deal planning and coordination. A well-planned night defensive position was difficult for the enemy to approach and attack, and this explains why we felt more secure out in the bush than when securing a firebase. The normal mission assigned to Bravo Company was to locate enemy forces and to attack them by fire and maneuver, commonly referred to as “search and destroy operations” during our period in Vietnam. We knew that our elusive enemy was out there waiting for that golden opportunity to pounce on us and as mentioned earlier, they habitually selected the time and place for these encounters. In addition, they usually engaged us from prepared fighting positions, foxholes or connecting trenches, and they attempted to “ hug” us in order to prevent us from using our devastating firepower - - artillery, naval gunfire, Cobra gunships armed with miniguns or grenade launchers, Chinook Guns-A-Go-Go armed with Gatling guns or 50-caliber machine guns, USAF C-130 Spooky aircraft armed with 25mm Gatling gun and Bofors 40mm cannon, tactical air support and B-52 Bombers. As the perennial searchers looking for our invisible foe, we were at a significant disadvantage and extremely vulnerable. When enemy contact was made, the enemy often controlled the initial moves and we had to reverse this situation as quickly as possible. Initial enemy contact was always a highly critical situation and there was no standard reaction as each contact was unique. The company command group would immediately move to the location of the platoon in contact in order to evaluate the situation, adjust artillery fires and to make decisions on, for instance, deploying other platoons. Recovering wounded troopers was top priority and to prevent the enemy from “hugging” us, we pulled back any unit that was located too close to enemy positions. Having located the enemy, the next task was to fix him or pin him down. This often required deploying a platoon on either side of the platoon in contact and engaging the enemy with our weapons. In conjunction with these actions, our artillery Forward Observer would commence adjusting artillery on known and suspected enemy positions, and on possible escape routes. We would also radio a situation report to Battalion Headquarters, together with requests for reconnaissance helicopters and Cobra gunships. It was critically important during this initial phase to determine the size and disposition of enemy forces, and that was the reason for requesting reconnaissance helicopters and gunships. At about this stage of the battle, our Battalion Commander would probably arrive and be circling the battle area in his specially equipped Command and Control helicopter, and making an assessment of the situation based on radio discussions with the Bravo Company Commander and on his own observations. Based on this assessment, he would make a decision on one or more courses of action, such as; to deploy additional units to reinforce Bravo Company, to encircle the enemy force, to block escape routes, or a combination of these options. We normally planned for the worst-case situation because we rarely had a complete picture of the size and disposition of the enemy forces. 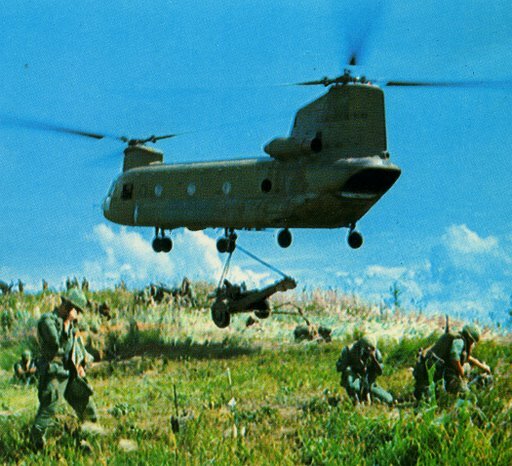 The lack of proficiency in the Vietnamese language and intimate knowledge of local conditions was a major problem for US Army infantry units, like Bravo Company, when conducting search and destroy operations against guerilla forces in many different regions. One solution to this problem was initiated in mid-1967 and was known as the Kit Carson Scout Program. Former Vietcong combatants and defecting NVA soldiers were recruited by the US Army to act as Kit Carson scouts and interpreters. One of the training areas for this program was located in Quang Tri and we received our first scout, called Khunt, during the Fall of 1967. He quickly became a member of our unit and served us well as scout and interpreter. Commencing in April 1968, Bravo Company started sending selected troopers to an intensive Vietnamese language course. Thanks to James Miles for this photo.